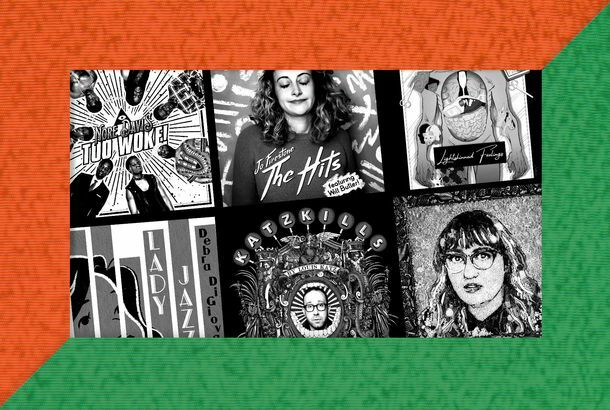 The 10 Best Comedy Albums of 2018Featuring Sam Jay, Jo Firestone, Langston Kerman, Emily Heller, and more. Tonight Show Was Momentarily Taken Over by ‘Donald Trump’s’ Trump News NetworkWith special reports from “weatherman” Betsy DeVos! Tonight Show’s Faux Betsy DeVos Stops by to Apologize for W.E.B. Du Bois GaffeAfter the U.S. Department of Education misspelled the late author, activist, and historian’s name on Twitter. New Web Series Womanhood Is a Very Funny DelightIt stars comedians Jo Firestone and Aparna Nancherla.